Add another break-up to The Bachelor and The Bachelorette bunch, because another couple has split. 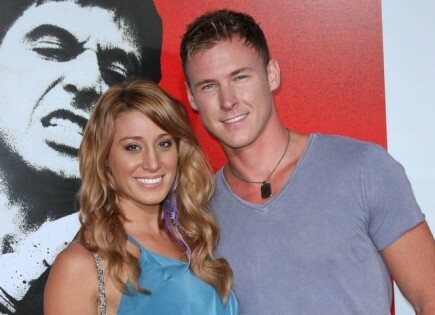 Vienna Girardi and Kasey Kahl became an item on the reality show Bachelor Pad when they took a second shot at love, but the couple has decided to go their separate ways. “Yes vienna and I have split. It’s been 5 weeks now. I can’t fake it anymore. I will always love, be there for her, and wish her the best,” Kahl posted to Twitter. “@KaseyRKahl will always be my best friend, but yes we have split. No idea what the future holds for us but we will always remain friends,” replied Girardi, also via Twitter. 1. You’re having doubts: If you’ve started to second guess your relationship, figure out why you feel that way. It’s important to have confidence in your relationship together, and if you don’t, who will? 2. The novelty has worn off: The beginning of a relationship is the most thrilling part because it’s all new and exciting. If you’ve stopped growing as a couple, there’s no point in pretending it’s going to work long term. 3. You don’t see them in your future: If you can’t imagine spending the rest of your life with this person, don’t continue to waste your time or theirs. How did you know when to end your last relationship? Share your comments below.